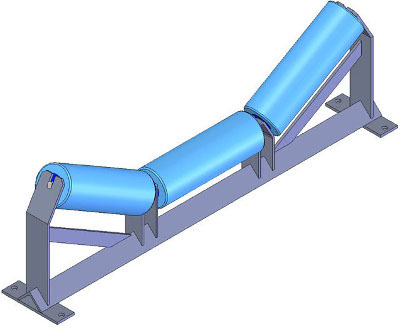 TCS are a leading supplier of quality engineered conveyor frames to suit all conveying applications. Our dedication to customer satisfaction has ensured that we only source products from manufacturers that adopt world wide recognized quality control practices and manufacture to comply with relevant Australian Standards. Along with standard sizes for 20°, 30°, and 45° troughing frames custom built frames can also be supplied. Frame types include troughing, tubular, self-aligning, v-return, inline troughing and self aligning frames.